The Sales Satisfaction Index Ranking is a study perfomed by J.D. Power and Associaties. 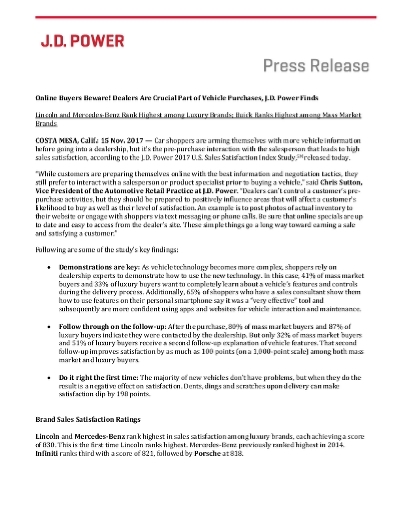 The study is a comprehensive analysis of the new-vehicle purchase experience among luxury brands in satisfying buyers with the new-vehicle sales process.